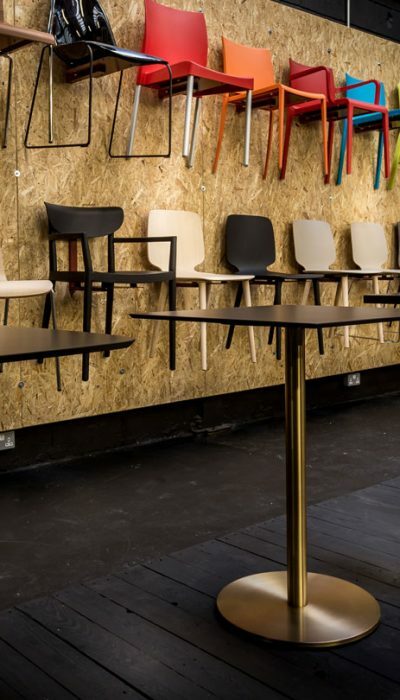 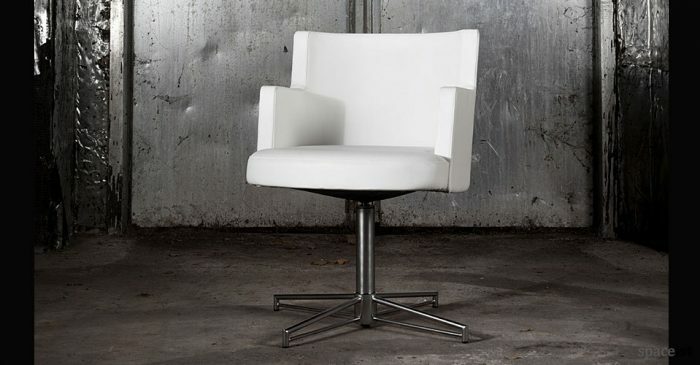 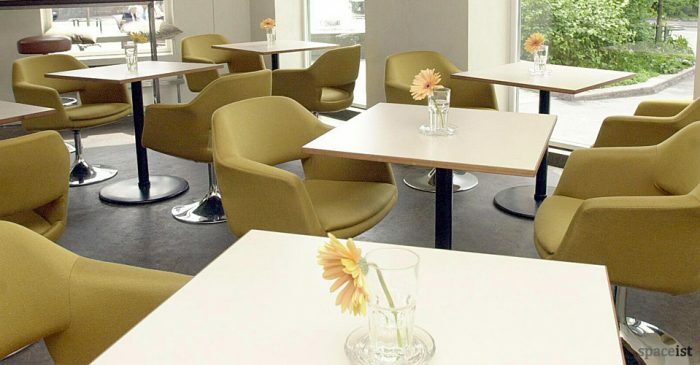 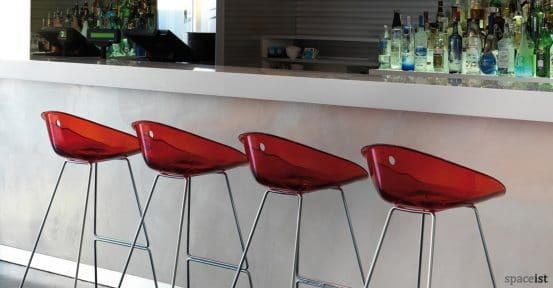 Categories: Bar stools, Canteen Furniture, Colourful bar stools, Bar Furniture, Cafe furniture, Cafe furniture, College bar stools, Staff bar stools, Breakout Furniture. 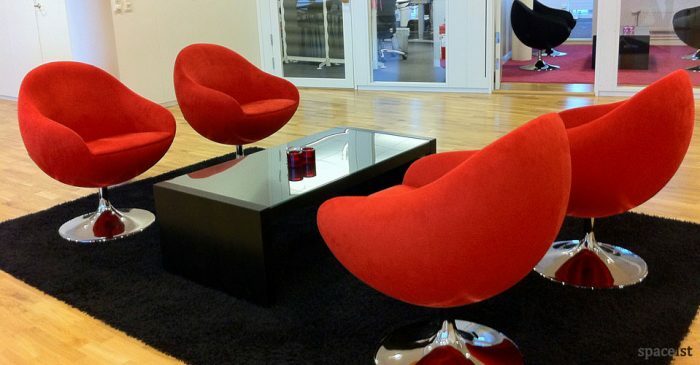 Formed from a poly-carbonate seat, the form of this distinctive curved bar stool is an attractive and playful option for contract application. 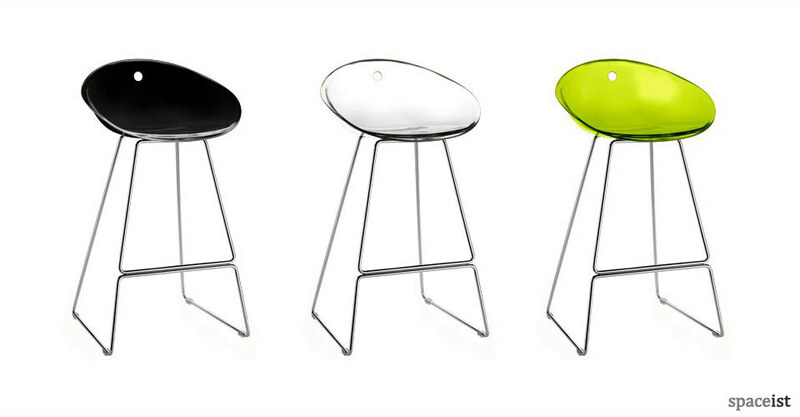 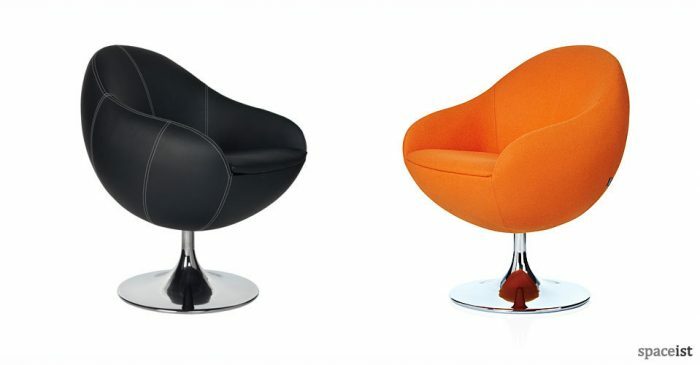 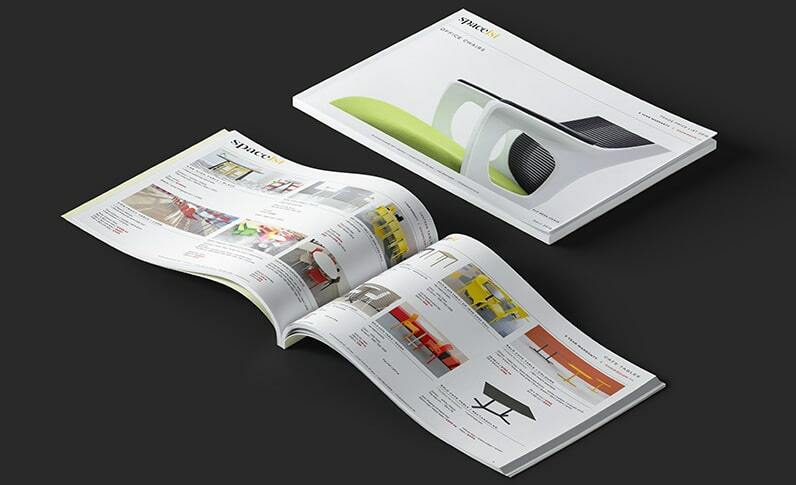 The seat comes in either solid or transparent colours, including white, black, clear grey or clear lime. 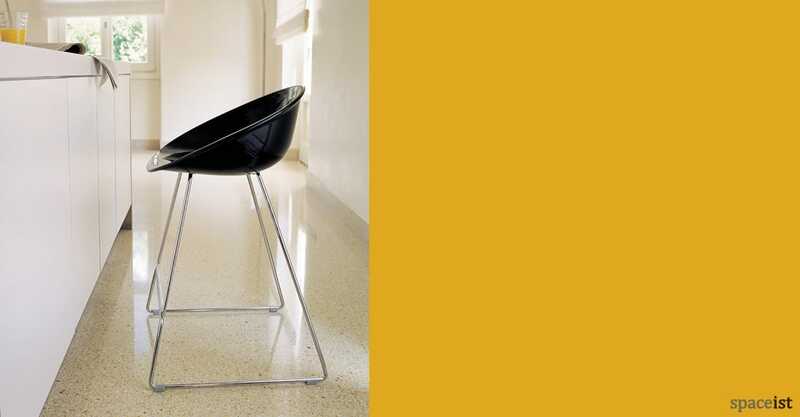 The base comes in chrome, or coloured and white and black.